What is SEO Internal Link Building and why is it Important to the SEO of a Website. Internal link building in websites helps in giving your website structure in the eyes of Google. Before a website page can rank on a SERP, It needs links which makes it easier for search engine platforms to find it. Internal link building use hyperlinks called internal links that point to another page in the same domain, The following is an example of an internal link in code language. By using the right internal link building strategy the ranking of the website will increase exponentially. Internal linking as mentioned before gives search engines like google an idea on what your content is based on and its value. Internal link building also gives structure and navigation to the website, which helps in giving ranking power to each web-page within the website. To put it simply, higher the number of internal links the higher the website ranks on SERPS. Every website has at least one piece of content which is considered their best. This piece of content is also known as cornerstone content. First, decide and list all the pieces of your content ranging from your best to your worst, you create a pyramid of content. Then proceed to link your best pages to your worst pages, called subpages on relevant content topics that they might have. 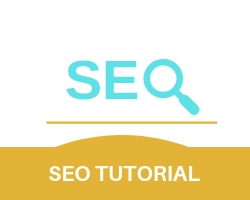 By doing this you increase the ranking of your subpages on SERPS while at the same time increasing the SEO of your webpage. Internal linking SEO on related content tells the search engine about what pages hold similar information or content. Internal linking SEO, linking the cornerstone content and web pages give them more command in search engines and make them rank better and higher on SERPS. By giving cornerstone content links on the home page and navigation, doing this will give them a lot of link value and direction search engine crawlers need for ranking them. Internally link to popular or recent posts on your website. By linking popular or recent posts by users on your website cornerstone content or sub-pages you create more traffic and link value. Creating a section only for user comments and reviews you increase traffic and more links both externally and internally. It makes the user experience better which increases the off page SEO rating.